Steel and Wood, Its always been a great combination. Our "industry" line of Cabinets have a rugged rustic feel and appearance while offering lots of practical functions and a look unlike just about anything on the market. Industry Cabinets are reclaimed wood, hot rolled steel, a combination of cabinets and shelves, cabinets and drawers, drawers and shelves or whatever you like. 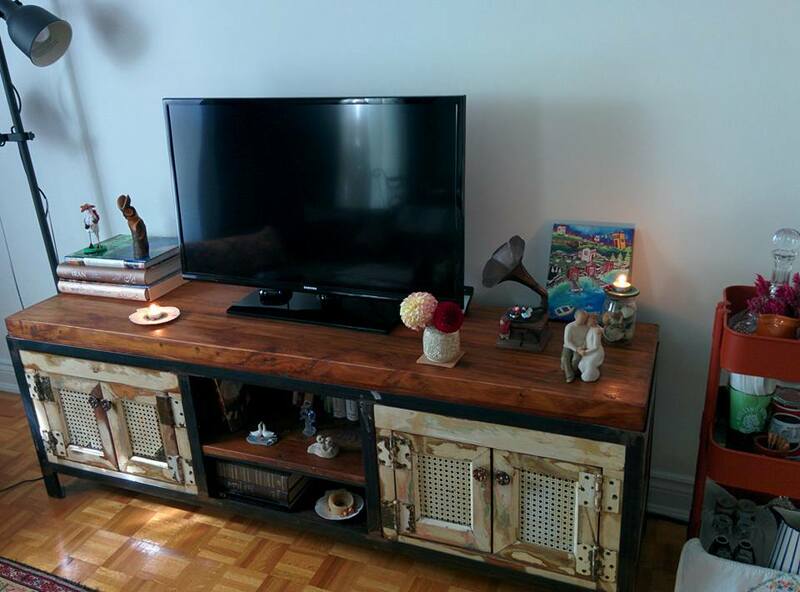 Our wood is reclaimed hemlock or reclaimed Doug fir from old Toronto homes or Southern Ontario buildings. We use this wood for the top surface and most of the shelves. We offer other interest reclaimed woods for doors, side cladding and more. We look for unusual pieces, pieces that speak history or even just a real old raw painted piece with character. All boards are finished in a urethane for maximum durability and max protection. Our metal is hot rolled steel and is powder coated for waterproofing and easy cleaning. Industry Cabinets are available any way you want it, just let us know what you are looking for. Sizes range from 24" wide to 96" inches. We can give you height! Starting from 24" tall, we can build up to 90" tall. 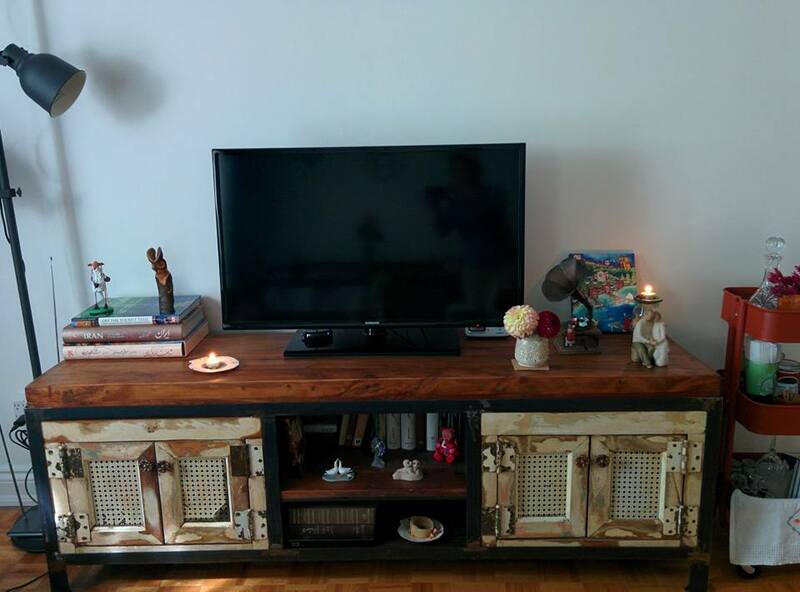 Forever Interiors is about reusing, rebuilding, and custom building furniture and décor from reclaimed material. Our specialty is tables, tables of all sort, be it Harvest, coffee, console or more. We also have a wide selection of benches; mirrors and shelving units built custom to meet any need. Finally we are known for reinventing used furniture and other items into new and eclectic pieces for your home or office.